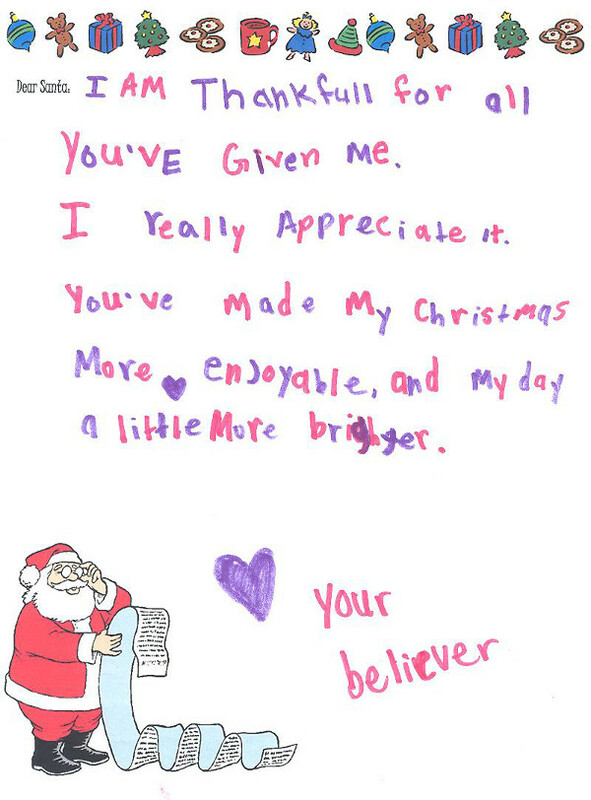 There’s nothing quite like those gorgeous, handwritten notes the kids scribble – pleading, begging and negotiating for gifts. 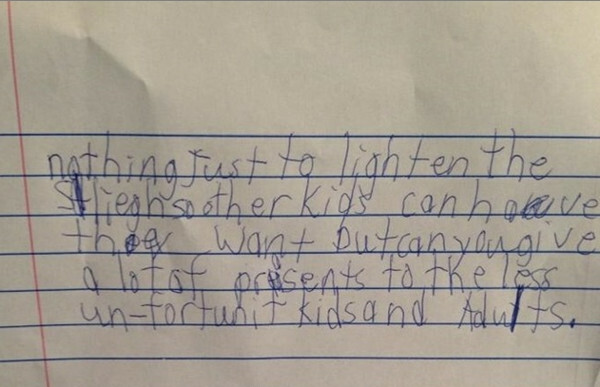 Or those sweet words that can only come from the minds of innocent children. 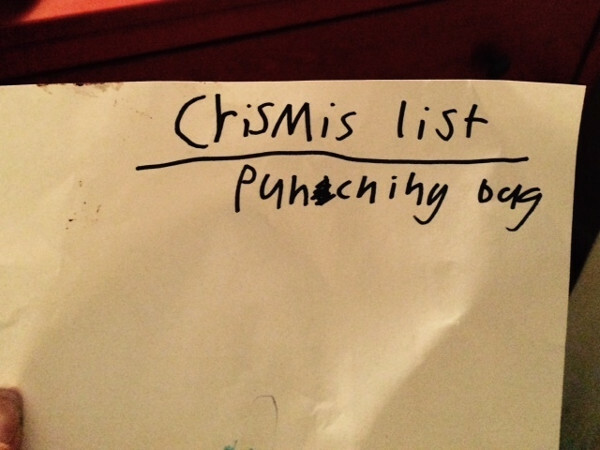 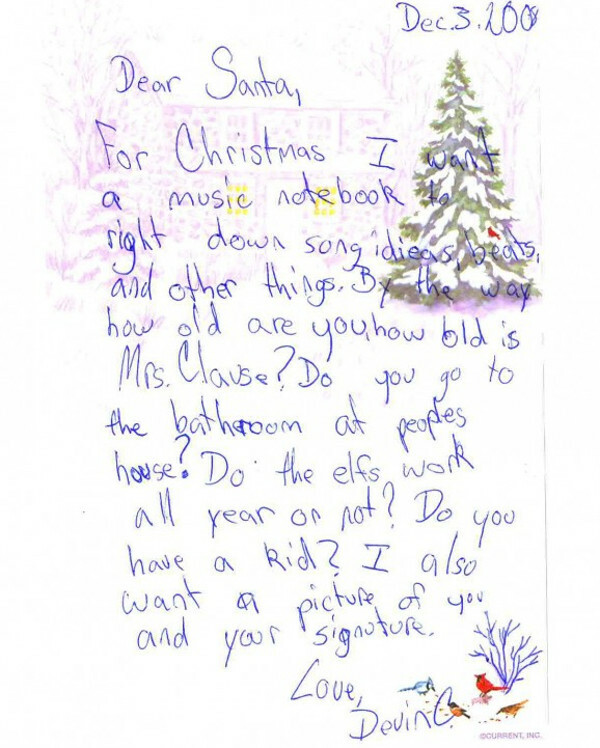 Just have a look at these hilarious, and touching notes from children to Santa. 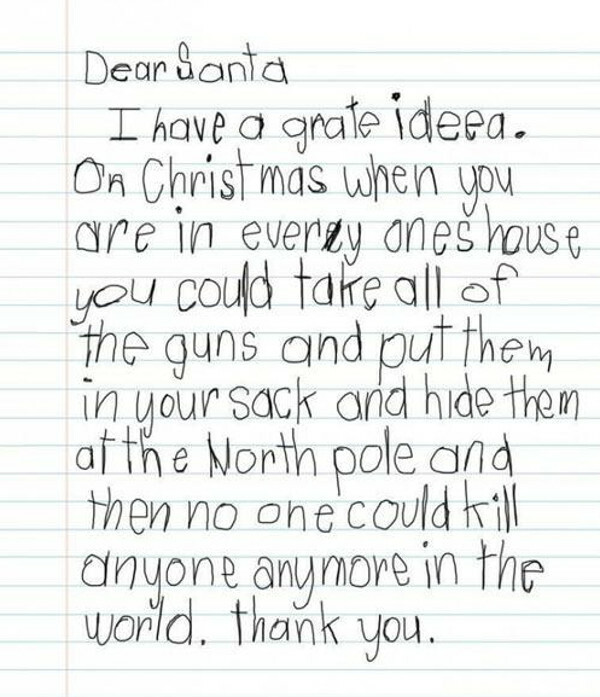 Kids really do say the darndest things. 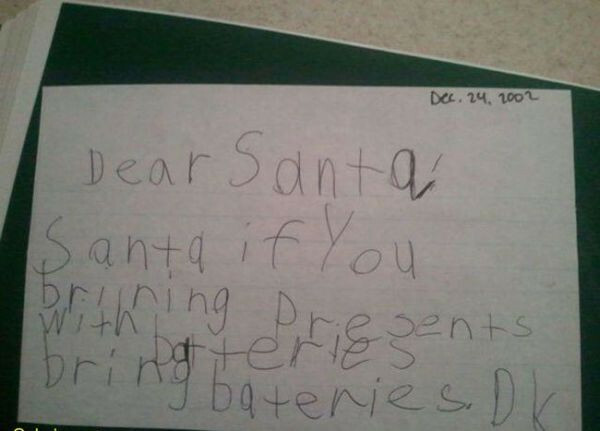 They also write the darndest things to Santa. 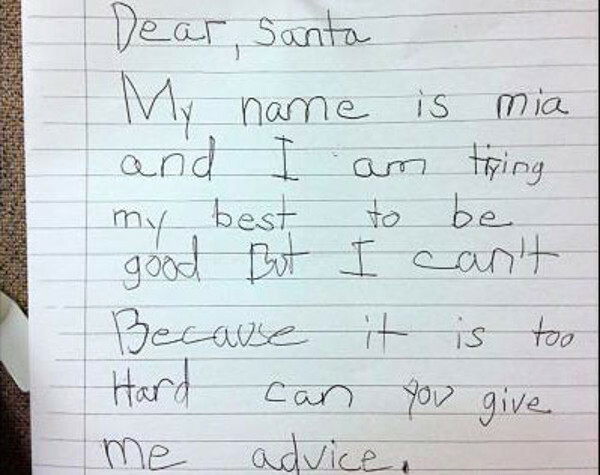 When you can’t be good, just be good at being bad. 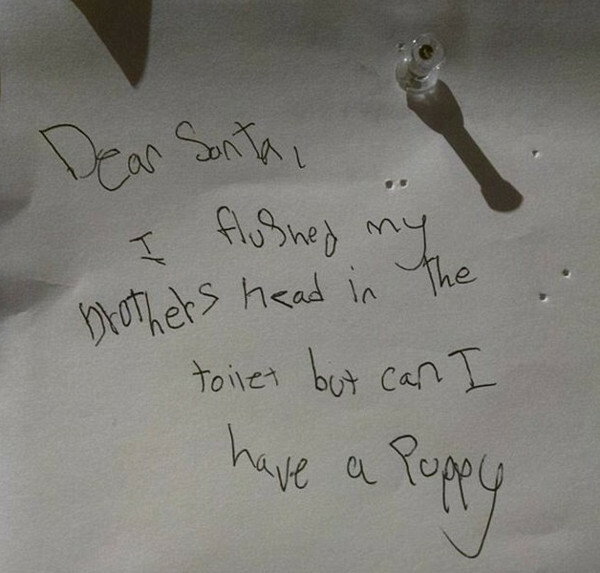 Because we’ve all wanted to know if Santa uses our toilet. 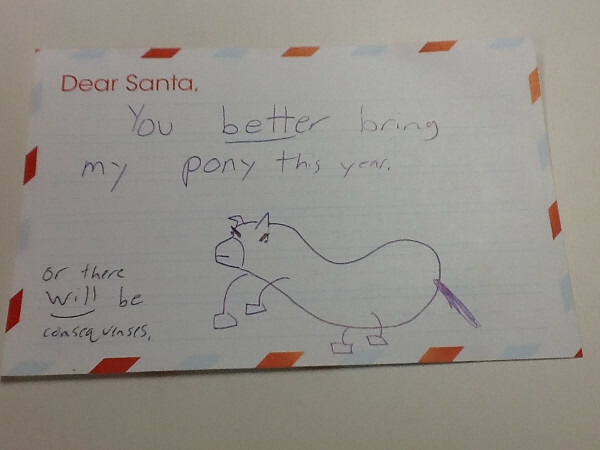 That’s one angry looking small horse. 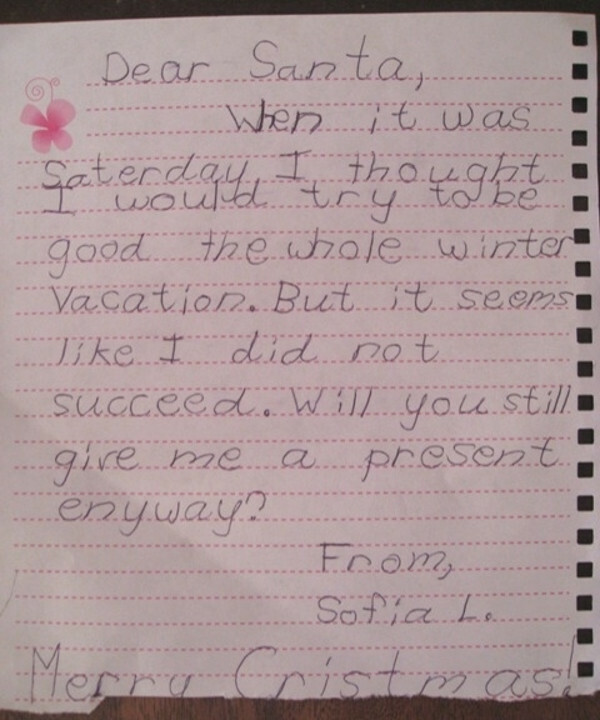 If you need any more incentive to get the kids penning their letters, take a look at our five reasons your kids should write a letter to Santa.